Guest post by Tom Augenthaler. Google and YouTube have had a tough time lately. Big name brands are dumping their advertising on YouTube after the Wall Street Journal reported that some ads were being placed by Google’s automated programs on videos containing racist, extremist content. And this is not fake news. The New York Times confirmed that numerous major brands are ditching YouTube as a result. Compounding the problem, some companies found their advertising budget was being used to display banner ads that indirectly funded the extremists. Not good — and damaging to brand reputations. Now taking a closer look at the list of brands above, you’ll notice several are based in the UK. The UK is the next biggest market for Google (something I didn’t know) after the U.S.A. and the Google generates some $8bn per year from UK business. To be fair, we all make mistakes and Google has since apologized. In the meantime these brands need a viable alternative. This latest episode exposes the faults with programmatic media buys where technology does the heavy lifting – and is capable of making huge mistakes like this one. But the larger problem is far older. As my colleague Nick has written here before, brands should be taking a step back to assess what they are trying to achieve with advertising on online platforms like YouTube. I hate disruptive advertising — on any platform, and I am willing to bet you do too. When will brands realize this? In fact, constantly bombarding us with ads is corrosive to building trust. How do brands (large or small) go about building trust in a way that engages and cooperates rather than interrupts? Instead of thinking of ways to disrupt and force their way into the consumer experience online (and irritate them), brands should take this opportunity to think about how they can best serve those audiences. Taking this kind of approach builds trust by demonstrating your brand cares and wants to interact in a more engaging and holistic way. Influencers can help you do this. The reason is that influencers already have audiences. You just need to approach them and figure out a way to mutually benefit each other. Now I know what you’re thinking, what about the PewDiePie mess? He’s a major YouTube influencer — and look how Disney got burned by him! Now: The reason they worked with him is easy to understand and powerful. They want to reach the teenage audience and 70% of teenage YouTube subscribers say they relate to YouTuber influencers more than to traditional celebrities. When you put that together with the fact that 84% of consumers trust peer recommendations over brand advertising, you can see how compelling it is. Now add that 51% of brands that work with influencers find better customers. A convincing argument, isn’t it? But the point about PewDiePie is a good one. How do you know who to trust? 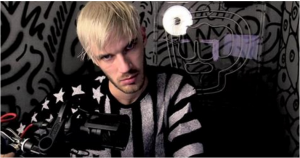 Just because someone has a huge audience like PewDiePie, doesn’t mean they are right for you and your brand. I’ll tell you this: Evaluating PewDiePie or any other influencer is simple and by using just a few qualitative measures Disney could have easily decided he was not right for them. How well is the content written or presented in video? By well written I’m referring to good use of grammar, thoughts are communicated clearly and distinctly without the use of jargon, slang or profanity. 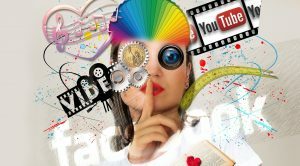 Is the influencer focused or does the content cover many topics? Overall you’re ideally looking for 70% of the content to be focused on the main topic as this is what keeps the audience coming back for more. What kind of “voice” does the influencer adopt in writing or on video? Is his attitude abrasive? Sarcastic in tone? Does he like to “stir up the pot” by being controversial? Does the influencer use profanity in his writing or video? Note: this may not bother some, but many family oriented brands may find this off putting and risky. Applying these simple questions to influencers you are assessing can help you quickly and easily sift the wheat from the chaff. Ideally, you want to work with influencers who not only commune with your ideal audience but who have their trust. This is what you’re looking to leverage after all, their trust. Relevance: to your brand, your products and even your company culture. For example, if you are “family friendly” brand, working with someone like PewDiePie would seem out of sync. Resonance: Does the influencer resonate with his or her audience through engagement? This includes likes, content sharing, comments on blog posts and social media posts and direct communication with the influencer through email and texting. This last part you will have to ask of the influencer once you get to know them a bit. Reach: The aggregate audience size the influencer commands. This includes their blog, video channel, Twitter channel, Facebook page, IG account, etc. Yes, you’re reading this right, reach is the last of the three considerations. The reason is that just because an influencer has a large audience doesn’t mean that audience is engaged. Research shows the an inverse relationship. The smaller the influencer’s audience, the more engaged that audience is. A credible agency or consultant will be able to bring you qualified influencers with good reputations. I get it. Your team is overworked and has no bandwidth to evaluate influencers or time to build campaigns. You need to get going right away. There’s no time to get your internal team educated so they can implement an influencer program on their own. So why not use an “activation platform” to do it? This is possible but many of the activation platforms take too much time to learn so they don’t address your bandwidth problem. However, I do have a solution for you: Hire a reputable agency or consultant to help you find and asses top quality influencers and who can design and execute the programs for you. #1: They should guard your brand like it’s their own. #2: They should ensure your brand is well aligned with your influencers (relevance) and treat your influencers like partners, content partners. #3: They should want to help you in the long term to build brand advocates of your influencers. The benefits will pay dividends for years. #4: They should be able to introduce you to influencers they know and have worked with before. #5: Any agency or consultant should furnish you with references. Be sure to talk to those references so you have a clear idea of how the firm works. One additional thing: Be sure to ask to see case studies. I suggest you contact the companies showcased in those case studies as well as any influencers. No matter what: Remember your ultimate objective! Whether you work with influencers using your internal team or whether you reach out and work with an agency, the goal is the same: to build long lasting relationships with influencers. Keep these principles in mind and you’ll find long term success by connecting and resonating with your ideal consumers and you’ll build long lasting relationships with your influencers which can yield ROI for many years to come. Founder of The Influencer Marketer, a speaker and coach, Tom helps business owners and marketers how to reach new consumers, generate leads and grow ROI by working with online influencers.